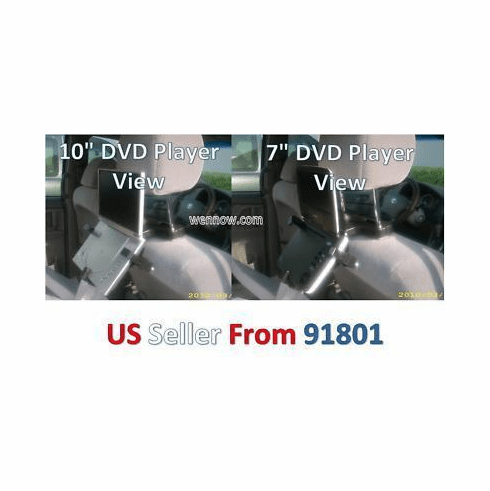 220712442528 Headrest mounting bracket for portable DVD or portableTV. Mounts to the arms of height adjustable headsets of cars. Mounts to the back of the front seat for viewing from passangers in the back seat. Adjustable arms to fit upto 10" screen size device.